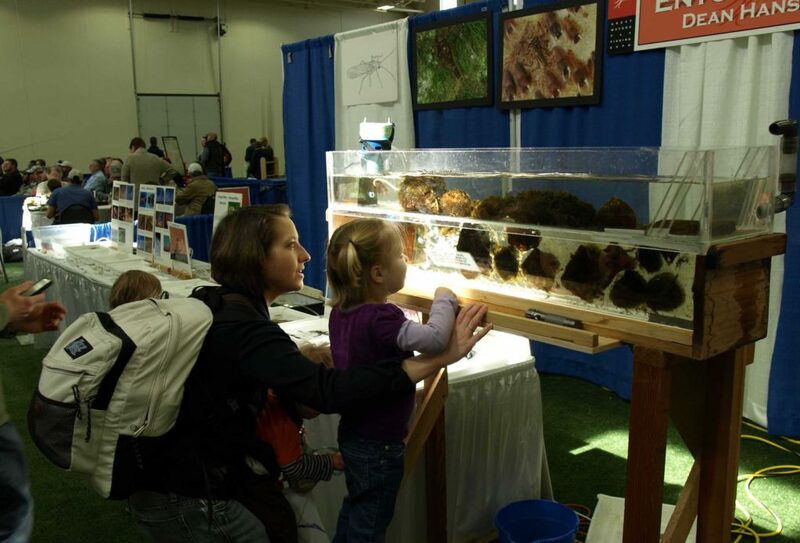 Dean Hansen’s Wetbugs display will offer 30ft of tables featuring live macroinvertebrates from around the region and offer youth the opportunity to interact with interesting critters like crayfish, stoneflies, mayflies and more! Dean will have a live stream setup as well that gives the opportunity to see how a flowing stream interacts with live critters and even how the underside of rocks in a stream look. The Wetbugs display will be in the main expo entrance. This year the Lew Jewett Fly Fishers will be offering their youth passport program. This involves an hour long Youth Introduction to Fly Fishing program at 10:45am on Saturday morning. 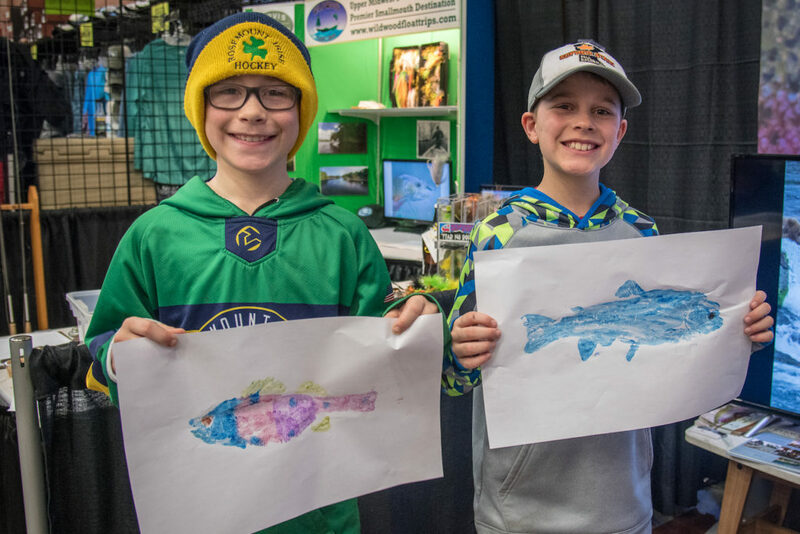 After this program a passport will be given to each participant that gives the opportunity to explore the expo and learn to cast, tie flies and meet members of the fly fishing community such as guides. Each participant that completes the passport will receive a free fly box and will be entered into a drawing for one of multiple complete fly fishing outfits. The T.U.N.E Camp booth will again be offering free fish printing! Youth will be able to make printed fish art from real rubber replicas of sunfish, perch, rainbow trout and more. Learn about T.U.N.E Camp (The Ultimate Nature Experience), a 5 day overnight summer camp held at Eagle Bluff Environmental Learning Center in Lanesboro, MN. Featuring fly fishing, hunting and environmental education and supported by volunteers from Trout Unlimited, Pheasants Forever and other area natural resource groups. 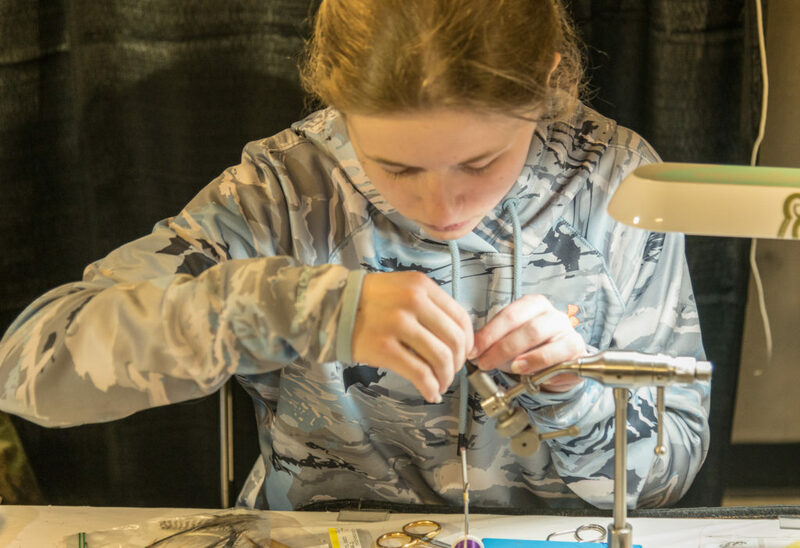 This year we have multiple locations for kids (and adults) to learn how to tie flies. 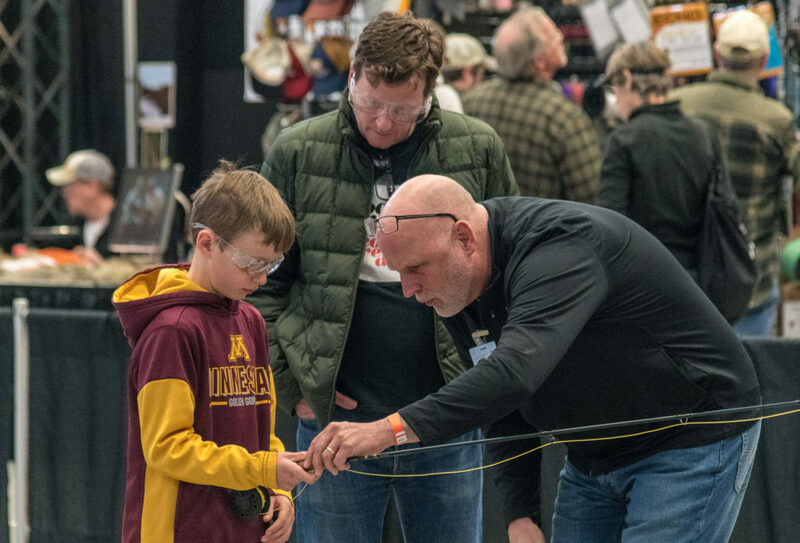 The friendly members of the Headwaters Chapter of Minnesota Trout Unlimited will be offering on-going and free instruction. The St. Paul Fly Tyers will also have a “learn to tie” table devoted to helping new tyers learn the ropes. This is an adult and kid-friendly table and it is located within the larger fly tying section of the main exhibit hall. Check out the 2019 exhibitors and check back regularly as more sign on. Interested in exhibiting? 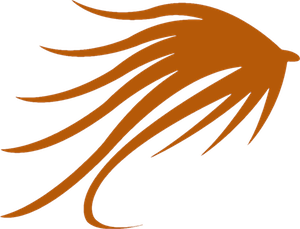 Find information here.